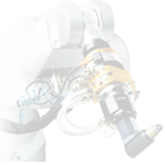 ATI Industrial Automation has been designing, manufacturing and selling robotic end-effectors to the top manufacturing companies around the world since 1989. We are considered an industry leader. ATI is ISO9001-registered and a six-time winner of the North Carolina Technology Fast 50 Award. Our customer base is extremely loyal due to the excellent service, quality, and engineering provided by ATI employees. We invite you to join our team today. Use engineering principles to design and modify robotic end effectors and tools. You will work with other engineers, designers and Manufacturing personnel to complete design projects. You will communicate with managers and Manufacturing and Sales staff concerning your design project. Investigate and resolve technical problems involving product performance, production equipment or facility systems affecting production. Perform a variety of engineering tasks in the planning and design of electro-mechanical products, manufacturing and assembly tooling, electrical enclosures and cable assemblies. Determine and establish specifications through engineering calculations and layouts. Use appropriate engineering tools such as CAD, FMEA, DFA, in the successful completion of design projects. As a Project Leader you will coordinate all phases of development including creation, prototypes, testing and analysis. Establish and monitor adherence to time lines and schedules. Complete all project documentation required, direct the efforts of assigned support personnel as required to ensure on time project completion, be responsible for tracking the cost of components with minimizing cost as one design criteria and work closely with all areas of the company to successfully complete the projects. Work with component suppliers, manufacturers, outside labs and other service providers as needed to assure the most cost effective, robust designs are implemented. Continue to learn new skills and techniques through in-house training, outside training/coursework, seminars, trade shows and appropriate use of the internet and participate in the training of other members of the engineering team in these skills. Communicate with customers and the Sales staff to determine all the technical specifications for a project. Continue customer interface as required during the design, production, implementation and trouble shooting of the product, including plant trips as required. Provide support and assistance to coworkers as appropriate to enhance the performance and success of the engineering department and the company as a whole. Product design and development done by the study of the robotic and automation market for new ideas (e.g. patents, trade magazines, trade shows, plant visits) and personal creativity. Developing improvements in current electronics. This will include the development of new PCBs to facilitate module assembly, reduce overall cost and parts count, and/or to provide a significant functional advantage. Check the customer and assembly drawings of electrical modules created by the Electrical Module group. Support and troubleshoot current electronic designs. Develop engineering standards relating to the electrical characteristics of ATI products. Electrical schematic creation in Orcad. Create models and drawings in SolidWorks or equivalent solid modeling CAD package. Prepare detail and assembly drawings for complex products and equipment. Design and develop new models, mechanisms, or adaptations for a particular product or application. Develop correct proportions, giving consideration to stress, speed, weight, proper function and manufacturability. Perform tolerance analysis to ensure proper fit/function of completed assemblies and to minimize parts cost. Demonstrated SolidWorks solid modeling and detail/assembly drawing proficiency. Solid history designing electro-mechanical components for automation. Demonstrated knowledge of ASME Y14.5 – 2009 Standards. Proficient with Microsoft programs (Word, Excel, Outlook, Access, and Visio). BSEE or BSME is required and five years of electro-mechanical designing experience. Work in collaboration with manufacturing engineering team to solve production issues, efficiency and continuous improvement goals. Analyze product specifications, firmware and existing test programs to determine test requirements for new product introductions and continuous improvement of existing test systems. Documentation of test procedures and training test operators/technicians. Perform complex and difficult design tasks requiring the operation and application of SolidWorks solid modeling and detail/assembly drawing to design and modify robotic end effectors and tools. You will work individually as Project Leader or with other engineers and designers to complete design projects. You will communicate with managers, Manufacturing and Sales staff concerning your design project. Prepare sketches or complete detail and layout drawings for complex products and equipment. Design and develop new models, mechanisms, or adaptations for a particular product or application. May receive general directions from Engineers, Engineering Manager or Senior Designers. Develop correct proportions, giving consideration to stress, speed, weight, proper function and manufacturability. Design fixtures and test prototypes and released products to verify design to customer specifications. Write specification sheets, manufacturing and inspection instructions for new and existing products. Support existing products through an ongoing process of continuous improvements and engineering changes to enhance performance and manufacturability. Mechanical design skills (design understanding of pneumatic devices, fasteners, seals, material selection, bearings, locking mechanisms, etc.). Have demonstrated SolidWorks solid modeling and detail/assembly drawing proficiency. A history of successful mechanical designs. Design and modify robotic end effectors and tools. Investigate and resolve technical problems involving product performance. Test prototypes and released products to verify design to customer specifications and write reports to document the testing. Determine and establish specifications and standards and write manuals, manufacturing and inspection instructions, specification sheets and technical reports for new and existing products. As a Project Leader you will coordinate all phases of development including creation, prototypes, testing and analysis. Perform a variety of engineering tasks in the planning and design of electro-mechanical products, electrical enclosures and cable assemblies. Determine and establish specifications through engineering calculations and layouts. Use appropriate engineering tools such as, CAD, FMEA, DFA, in the successful completion of design projects. Communication and project management skills to meet project goals. Work with suppliers to assure the most cost effective, robust designs are implemented. Provide support to customers including travel to customer’s facilities if required. Innovative mechanical design skills (design understanding of pneumatic devices, fasteners, seals, material selection, bearings, lock mechanisms, etc.). Solid history designing mechanical components for automation. Ability to generate mechanical fabrication drawings including orthographic projections. A BS degree in mechanical engineering plus 1-3 years work experience in a related field is required. Direct experience integrating designs into industrial robotics applications is a plus. Reporting directly to the COO, the Production Control Supervisor directs and oversees all production scheduling activities as it relates to delivering, quality products to ATI’s customers. Maintains production work flow by monitoring steps of the process; setting processing variables; observing control points and equipment; monitoring personnel and resources; studying methods; implementing cost reductions; developing reporting procedures and systems; initiating and fostering a spirit of cooperation within and between departments. Completes production plan by scheduling and assigning personnel; accomplishing work results; establishing priorities; monitoring progress; revising schedules; resolving problems; reporting results of the processing flow on shift production summaries. Provides manufacturing information by compiling, initiating, sorting, and analyzing production performance records and data; answering questions and responding to requests. Creates and revises systems and procedures by analyzing operating practices, record-keeping systems, forms of control, and budgetary and personnel requirements; implementing change. Accomplishes team expectations by communicating job expectations; planning, monitoring, and appraising job results; coaching, counseling, and disciplining employees; initiating, coordinating, and enforcing systems, policies, and procedures. Strong analytical, organizational, and time management skills. Bachelor’s Degree in a business field. Minimum 5 years experience in applicable manufacturing environment. APICS CPIM and/or CSCP preferred. Has experience in uncovering, diagnosing, and designing technical solutions consistent with customer needs. Ability to travel 30%- 50% domestically (North America) and occasional international travel when appropriate. Minimum 3 years experience selling technical products within industrial automation and manufacturing markets (e.g. automotive, aerospace, packaging, electronic assembly, etc.). The Inside Sales Specialist regularly interacts with our customers to efficiently execute the sales order entry and order fulfillment processes at ATI. The specialist is responsible for ensuring accurate and timely creation and submission of customer quotations, sales orders and order acknowledgements while communicating with the customer base, account management team and internal production and shipping departments. Monitors and responds to various database discrepancy reports in a timely manner. Complete electronic designs for tool changers and force torque sensors, involving embedded systems, fieldbus interfaces, electrical motors, low noise analog circuits and DCDC converters. Directly interface with customers to clearly and concisely communicate technical information. Architect and design hardware solutions by analyzing the performance and feasibility of alternative hardware concepts using circuit theory and simulations. Support the assembly of prototypes by providing documentation and assistance to ensure high quality prototypes are built in a timely manner. Develop and execute hardware design verification test plans per requirements specifications to ensure prototypes meet design requirements. Develop project documentation in accordance with quality and change management procedures and guidelines to ensure project information is properly organized and archived. Experience of at least 6 years in a position with similar responsibilities is required. Previous experience developing a minimum of two (2) products from concept through production is required. Experience with Orcad Capture, PROFINET, EtherNet/IP, EtherCAT is a plus. We offer an entrepreneurial environment with challenge, visibility and the opportunity to contribute to the success of the organization. ATI provides excellent benefits that include an Employee Stock Ownership Plan, a 401(k) plan, profit sharing plan, health plan, long-term disability plan and dental plan. At ATI you are not just an employee, you're an owner. For those that are chosen for an interview, please download and fill out our employment application prior to your arrival.